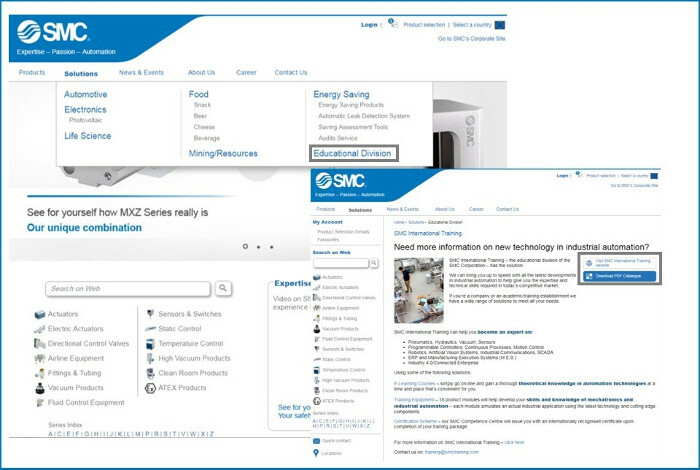 Accessing to the SMC International Training page from the European SMC Corporation is already possible! In the “Solutions” window we could find the access to a general description of International Training. This section , not only lets you access directly the Didactic universe of SMC, but also allows access to a detailed page about our available eLEARNING courses, a list of didactic hardware equipment ,and enables you to learn more about the certification programs. Moreover, you will be able to download, in just one click, our complete products catalogue. This will enable you to get information about SMC International Training from the most possible places in the easiest way.